We collected some significant case studies that tell why choosing Bellini lubricants. The common denominator is that Bellini makes you save money and increase production by reducing machine stops. Our customers are our best promoters. Productivity increased by 25% and machine cycle times reduced by 6.39% is what Didimo Zanetti, the leader in gear manufacturing, achieved by replacing mineral oils with Harolbio 5, a straight cutting vegetable oil. Didimo Zanetti, one of the largest Italian manufacturers of gears, with two production sites, one in Bologna and one in Aprilia, chose Bellini coolants to increase its competitiveness on the market. In particular, after a series of comparative tests with other products, the company identified in Harolbio 5 vegetable oil the best replacement to the mineral oil used for so many years. The initial test was carried out on a spiral gear-cutting machine. The customer’s requests were to have a multifunctional oil to be used both for cutting operation and for the lubrication of the hydraulic system. The customer wanted also to reduce the smell, to lengthen the tools life and to shorten the production cycle. The surprising results convinced the company to extend Harolbio to all the machines at the two plants. Harolbio enabled the gear-cutting machine to perform dramatically better than what it used to do with mineral oils. In particular, using Harolbio, the machine reduced the cycle times by 6.39%. 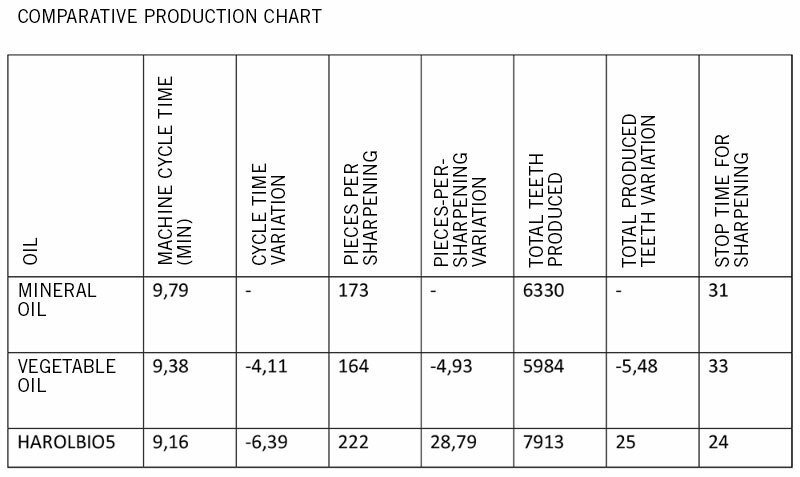 In addition, the number of parts processed per sharpening went up by 25%. This dramatically increased productivity and led to much cost saving. Harolbio is completely vegetable and free from P.A.H.. It delivers improvements in the hygienic and sanitary conditions both on the environmental side and on the worker’s health. Titanium deep drilling is safer with bio-lubricants Alfa Laval Olmi, the global company based in Sweden, chose Harolbio 1 FP for special machining such as titanium deep drilling. The advantages are tangible: reduction of 1/3 of the number of drilling tools purchased, 55-60% saving on tools cost, 30% decrease in machine downtime. In the site in Susio (Italy), Alfa Laval, Sweden’s leading manufacturer of heat exchangers, decanters and separators, performs tough operations such as the creation of more than twenty thousand 12.9 mm diameter holes, a triangular drill pitch on 12 grade titanium tubing plates, for a depth of 350 mm. Alfa Laval decided to replace water miscible fluids with Harolbio 1 FP, a vegetable straight cutting oil. Harolbio has been a winning choice in many ways. It is safer and delivers a better machining performance in extreme duty operations such as titanium deep drilling. This type of operations is generally perfomed using mineral lubricants; such oils have a very low flash point and they may also cause explosions. Harolbio 1 FP, compared to mineral oils of the same viscosity, has a much higher flash point; it also prevents explosions and acts as a self-extinguishing agent. The benefits of shifting to Harolbio were tangible and immediate. Firstly, Harolbio improved the drilling capabilities of the machine: given the higher oxidation stability and high lubricant power, Harolbio delivered a 55-60% savings on tools cost and a reduction of 30% of machine downtime. In addition, when the drilling tools reach a minimum size, instead of throwing them, they are reused for making lower diameter holes. CT Chemie tesifies how ecology, high-quality and performance can stand-side-by-side thanks to Bellini’ Harolbio line. 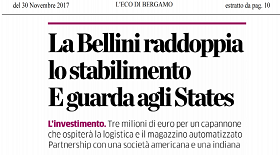 30-11-2017 Article: Bellini doubles its plant and looks towards the States! 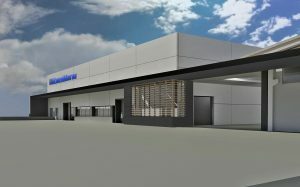 Three millions euros for a warehouse that will host the logistic and the automated warehouse in order to deal with the abroad growth. Our firm area will double its extension, from 3000 to 6000 square meters. The new plant’s completion date is estimated for September 2018. By the end of 2018 or early 2019 another 500.000 euros investment is planned, in order to double the production capacity with brand-new machinery. To this day, 10.500 tons of lubricant oil are being produced. With the ongoing investment, the production capacity will raise to 25.000 tons and it cannot be excluded that also the offices and the R&D lab will be extended in the near future. In this respect, a feasibility study has been already conducted. The investment is tied not only with the company growth but also with the occupational one! Indeed, the workforces has exceeded 50 employees. As a matter of fact, to this day, the employees are 52 with an average age of 30.  On 10th October 2017, Bellini Spa achieved another important goal with the certification Iso 14001:2015. ISO 14001, part of the ISO 14000 series derived from “ISO/TC 207”, identifies an environmental management system standard (EMS) that defines the requirements of an «environmental management system». Bellini and its customers side with the environment. Defined an environmental policy suitable for nature, dimensions and environmental impacts of its products, services and activities. Defined the environmental aspects of its products, services and activities that is able to control and/or condition, and identified the ones which could have an important environmental impact (included the ones regarding suppliers and contractors). Prepared procedures to identify environmental laws and other applicable requirements to define how these have to be applied to the environmental aspects and to keep up-to-date the related information. Monitored efficiently to meet the legal and other applicable requirements. Defined measurable environmental goals, which consider legal requirements and significant environmental factors, and planned different activities to reach these goals. Guarantees that the personnel are aware of the environmental management system’s requirements and that it has able to carry out activities, which can have important environmental impacts. Implemented procedures for the internal communication, such as answering – and communicating, if necessary – with the interested external parties. Guarantees that the operations associated to significant environmental aspects are carried out with specific monitoring actions, and controls the key features of its operations that could have an important environmental impact. Laid down and tested procedures to face emergencies that could have an environmental impact. Examines peridiocally compliance with legal and other requirements. Prepared efficient procedures for the review by the management and internal inspection tasks. Products R&D, aimed to vegetable based lubricants with a low environmental impact. 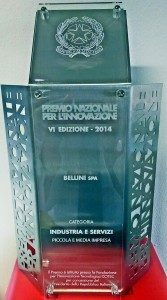 The use of the vegetable lubricant oil Bellini’s HAROLBIO contributed to improve the production processes of Metallurgica Alta Brianza S.p.A, permitting to achieve excellent finishing levels during bars drawing, as well as protecting the products from corrosion. Case History Bellini’s Harolbio 5 use in Faster S.p.A.
Reducing unhealthy oily mists emissions and at the same time, increasing machines performances is possible with vegetable based oils. Confirming this, it is Faster that uses Bellini’s Harolbio 5. 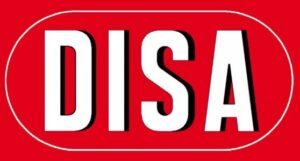 Case History DISA Diesel Iniezione S.p.A.
Case History Bellini’s HAROLBIO vegetable coolants use in DISA Diesel Iniezione SpA. Producing big diesel engines injection components needs high-precision working. For turning, grinding, electro-discharge processes and lapping is necessary to use dedicated and very precise machine tools. The coolant is strategic, both for workpieces finishing and for productive cycle economics. The collaboration between Disa and Bellini Lubricants. Tra Emmecomponenti, azienda specializzata nella componentistica meccanica di alto livello e Bellini Lubrificanti continua una partnership all’insegna dell’innovazione e della sostenibilità ambientale. Quando gli investimenti in tecnologia si traducono in efficienza e produttività. Case history uso Harolbio 1 presso Rettifiche Meccaniche Tirelli di S. Maria Del Piano, Parma. Il perfetto connubio fra rettificatrici di alta qualità, grande competenza tecnica e lubrorefrigeranti di ultima generazione Harolbio migliora i risultati nella rettifica delle viti senza fine e dei rotori per compressori d’aria. 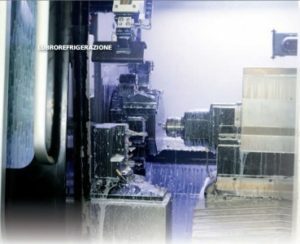 Le aziende che hanno saputo investire nello sviluppo di macchine moderne, perfezionando meccanica, elettronica e software, hanno potuto superare i periodi di crisi in maniera eccellente. Come è accaduto all’azienda emiliana C.L.C., che è cresciuta e ha acquisito nuove fette di mercato. Per raggiungere questo obiettivo C.L.C. si è avvalsa dei lubrorefrigeranti Harolbio 5 di Bellini. Nella produzione di ingranaggi, a volte, si trascura l’importanza di un’attenta scelta dei fluidi da taglio. Non così accade presso Trasmissioni Buzzolan, che ha adottato il lubrorefrigerante Harolbio 5 di Bellini. Ricerca e sviluppo prodotti, indirizzata verso la realizzazione di lubrificanti a base vegetale a basso impatto ambientale. Elevata specializzazione nell’industria della lavorazione metalli. Penetrazione in mercati maggiormente sensibili all’offerta di prodotti a basso impatto ambientale. Video di HAROLBIO 5 della Bellini SpA in uso presso MI-METAL BRAMATI S.r.l. 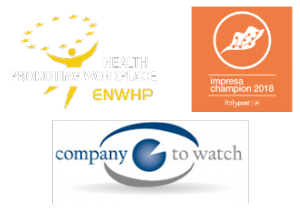 Bellini SpA già certificata WHP (Workplace Health Promotion) aderisce alla dichiarazione di Lussemburgo per Promozione della Salute sul lavoro. La Bellini SpA si impegna ai principi enunciati nella “Dichiarazione di Lussemburgo per la Promozione della salute sul lavoro nell’Unione Europea ” e li applica ai servizi di salute e sicurezza del lavoro nell’organizzazione. Codici di condotta aziendale e linee guida che vedono i lavoratori non solo come fattori di costo, ma come importanti fattori di successo. Cultura d’impresa e politiche di gestio ne che includono la partecipazione dei lavoratori e lì incoraggia ad assumersi la responsabilità. Organizzazione del lavoro che consente ai la voratori di conciliare le richieste del lavoro con le loro abilità personali e di controllo del loro lavoro e del supporto sociale. Politiche del personale che integrano gli obiettivi di salute in tutte le altre aree dell’ organizzazione. Integrazione dei servizi di salute e di sicurezza lavorativa. Inclusione dei lavoratori, a tutti i livelli, nelle questioni relative alla salute (partecipazione). Attuazione sistematica di tutte le misure e programmi (gestione del progetto). Collegamento tra le strategie di riduzione del rischio con lo sviluppo di fattori di sicurezza e delle potenzialità di salute (approccio globale). La Bellini SpA sottoscrivendo questo atto consente a BKK il Bundesverband/European. Information, come Ufficio Nazionale di Contatto della Rete Europea per Promozione della Salute, di utilizzare il nome dell’organizzazione per scopi pubblicitari, con l’obiettivo di avvicinare le altre aziende all’ac cettazione dei principi della Dichiarazione di Lussemburgo. – attuato particolari strategie di innovazione di prodotto o processo risultate vincenti o comunque distintive rispetto al grado di innovazione settoriale. 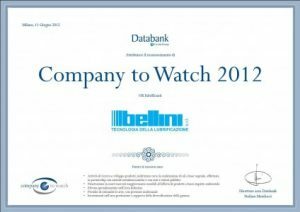 Il riconoscimento “Company to watch” nasce dall’integrazione di questi fattori, correlati tra loro. Ne consegue che il giudizio finale è frutto di analisi quantitative associate a valutazioni prettamente qualitative formulate dall’esperto di settore Databank. – Possibilità di riutilizzare il marchio “Company to Watch” per proprie comunicazioni aziendali, così da valorizzare e dare ulteriore visibilità ai fattori di successo. divisione di Cerved Group S.p.A. In data 07 Settembre 2015 ha la Bellini Spa ha rinnovato la Certificazione Iso 9001 ottenuta per la prima volta nel Luglio 1996, come una delle primissime aziende del settore. ISO 9001 è stato progettato come strumento di miglioramento del business e rappresenta lo standard di riferimento a livello internazionale per il Sistema di Gestione della Qualità (SGQ). Scegliere Bellini significa fare una scelta di qualità. “Per lo scopo di certificazione definito, un’organizzazione con un sistema di gestione certificato ISO 9001 fornisce con continuità prodotti che sono in conformità con i requisiti statutari e regolamentari applicabili e mira ad aumentare la soddisfazione del cliente” . Cosa significa la certificazione secondo la norma ISO 9001 rilasciata sotto accreditamento.